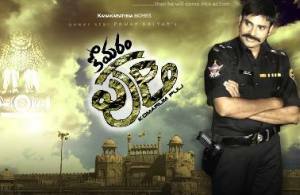 Komaram Puli (Pawan Kalyan) is a honest police officer. He runs a special vigilence team call Puli Team and solves cases. He comes to know about a missin g police officer Hussain (SJ Surya) and this leads to conflict between Puli and Al Salim (Manoj Bajpee).